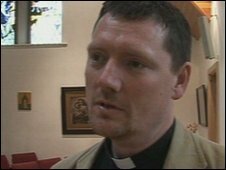 It seems the press have, yet again, taken a person’s words totally out of context to try and blow something that is not there into a major issue – in this case it is the turn of Father Tim Jones in York Diocese who, inn his sermon last week, suggested those who are the most vulnerable and forgotten and let down in our society might consdier shop lifting from large national businesses. Before you shout angrily read Father Tim’s full sermon here and then make your minds up about what he is saying. Thanks Alice for linking to this. This entry was posted in church, ethics by robryan65. Bookmark the permalink.